The list of courses offered by Afe Babalola University (ABUAD) are displayed on this page. Candidates who wish to apply through JAMB should click on any of the courses to see the course requirements. Afe Babalola University (ABUAD) is a non-profit private university located in Ado-Ekiti, Ekiti State. It was founded by the lawyer and philanthropist, Afe Babalola, in 2009. 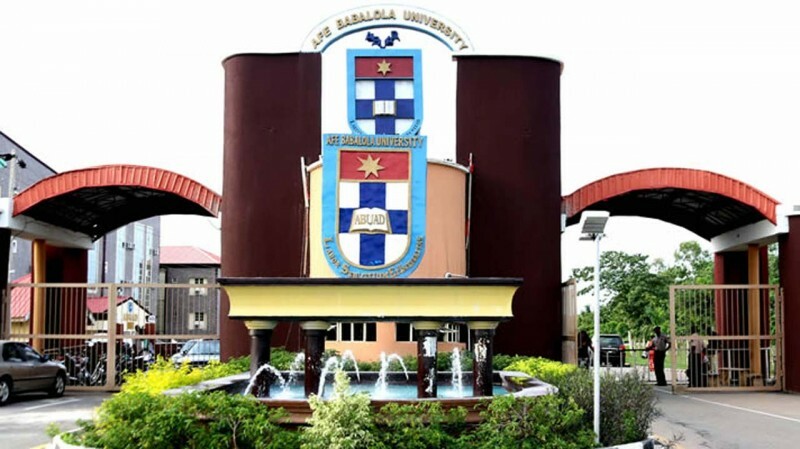 Afe Babalola University offers academic programmes in six Colleges: Sciences, Law, Engineering, Social and Management Sciences, Medicine and Health Sciences, and Postgraduate Studies. Afe Babalola University (ABUAD) was established in 2009 by Aare Afe Babalola (b. 1929), a prominent lawyer and fish farming entrepreneur from Ekiti State, Nigeria. It graduated its first set of students in 2013. A total of 101 students graduated, 18 students with first class honors. Afe Babalola University, Ado-Ekiti (ABUAD), a Federal Government-licensed, Non-Profit Private University is a model which is unique in many ways. It is located on 130 hectares of land at an altitude of over 1500 feet above sea level. The university has one main campus which is located in Ado-Ekiti, Ekiti State, Nigeria. The campus is situated in the hilly part of the town directly opposite the Federal Polytechnic Ado-Ekiti. The campuses houses 5 undergraduate colleges, a post graduate school,conference halls, a teaching hospital for medical students, student and staff accommodation, sporting facility and other auxiliary services such as cafeteria for staff and students, a laundry, a bakery and a water processing plant. The Afe Babalola University holds a reputation for being one of the few Nigerian universities to begin academic works in the campus permanent site. However due to the requirement by the National University Commission that the school must possess a functioning teaching hospital, a memorandum of understanding with the Nigerian federal government to make use of the Federal Medical Center (FMC) Ido-Ekiti, Ekiti State as its teaching hospital for a period of ten years beginning from October 2014. See other universities that offer Information And Communication Tech. My question is, is it being offered? As far as we know, ABUAD offers Computer Engineering and Electrical/Electronics Engineering. Good day. Pls my son did Biology, chemistry and physics in Jamb. Can he be admitted for computer science in your school? Thanks. Y is maths compulsory for law? Maths is not compulsory for Law. See the requirements for law here. I am highly impressed in every thing about the university. Their eviroment, their system etc. I wish I will be employed as a non tutorial. Long live The School, Long live the Staff,Long Live The Student. Do they study architecture in Afe babalola university or any Everonmental ?? No Williams. They only have Civil Engineering. Afe Babalola is the best University in law.